Tourists will visit the hometown of Puer Tea - a drinkable antique. The longer Pu’er tea is fermented, the better it tastes and the higher its value. Pu’er tea is widely considered the best tea for our health. It can prevent and alleviate cerebral and cardio vascular diseases. We specially chose the Jingmai-Mangjing Ten-thousand-mu Millenary Ancient Tea Plantation - the most famous and biggest Puer Tea Plantation in the world, The No.1 Wild Tea Populations in the world and Tea Factory for our tourists to know and enjoy more about Puer Tea. Meanwhile, tourists can also visit many local minority villages - include the Wengding Va Minority Village - the last primitive tribe in China and Laodabao Village of Lahu minority - famous for its local minority show in China to enjoy the folk customs, arts and dishes there. Nayun Ancient Town (the only well-protected Dai Minority Town in China), Holy Longmoye Mountain, Sacred Muyiji Valley are also the highlights in this itinerary. It will be an unforgettable nice exotic experience for tourists. The Tea Origin Plaza and the Sign of the Origin of the ancient Tea-Horse Route on the Plaza, the Stone Stele bearing the Oath of the Solidarity of the Peoples of China, ancient Nakeli Tea-Horse Route Dak. Ancient Laodabao Village of Lahu minority, the Jingmai-Mangjing Ten-thousand-mu Millenary Ancient Tea Plantation (the biggest Puer tea plantation in China), the Wenji Village of Bulang Minority, Nuo Gan Water Village, Lahu Minority Park. Dragon Pool, Holy Longmoye Mountain, Likan Waterfall, Sacred Muyiji Valley. * One night stay in a luxurious resort inside the Puer Sun-River National Park, to be the real neighbor with animals. * Visit the origin of the famous ancient Tea-Horse Route and well-preserved ancient Dak. * Explore in the Jingmai-Mangjing Ten-thousand-mu Millenary Ancient Tea Plantation (the biggest Puer tea plantation in China). Visit a tea factory to know how to make Puer Tea. * Stroll in many well-preserved local minorities villages to enjoy their folk customs, architecture, arts, dances and dishes. * Appreciate the longest history rock fresco in China (painted around 3000 years ago). Also known as puerh, pu-erh, pu-er, and pu-eh tea, Puer is the official spelling, named after Puer City. It is sun dried and naturally aged to produce a healthy tea with a smooth, mellow, earthy taste. Ruby-colored Pu’er tea is considered top quality, followed by agate red and amber red. And it’s not just a pretty tea – the latest medical research results offer scientific evidence that Pu’er tea can prevent and alleviate cerebral and cardio vascular diseases. The longer Pu’er tea is fermented, the better it tastes and the higher its value. So it is also known as a drinkable antique. Pure Puer tea is a living tea. Our processing for black and green puer uses much less heat than in the processing of other kinds of teas. This allows certain beneficial microbes to live. This is why puer tea should not be sealed in a bag or closed in a tin during storage. It is best when it is allowed to breathe. This microbial aging causes the puer to improve with age, like a fine wine. Puer tea is the only tea which improves through the years with age. Green puer improves with age up to 65 years. Black puer improves with age up to 25 years. When tea experts put the long-preserved tea cubes into a cup and poured in boiling water, the tea cubes instantly dissolved, the color of the water changed to brown, and the fragrance of the tea spread throughout the room. Puer, occupying 45,000 s.km, is the largest prefecture-level city in Yunnan Province. Most Pu’er tea is grown in Puer. As the major Pu’er tea plantation area in China, Puer plants 37 tea species, 6 of which are unique in China. It has mild climate all year round, which makes it ideal for growing tea. Local Va and Blang ancestors there began to plant, process, and sell tea more than 3,000 years ago. 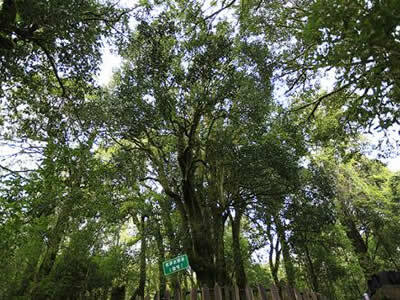 According to scientific research, Qianjia Village in Puer has the largest wild tea shrub group in the world. Its most ancient tea tree, aged 2,700 years, is considered the oldest in the world. 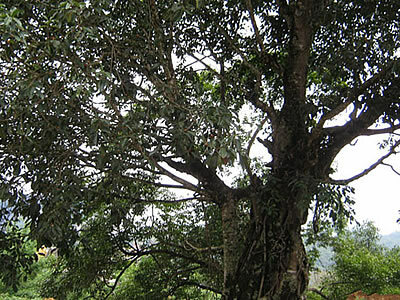 In Kunlu Village 1,900 meters above sea level, 13 families live by tea trees more than 400 years old. Puer’s advantageous geographical location enabled it to promote its tea trade. It was the starting point of the Tea-Horse Route, also known as the Southern Silk Road, which connects Yunnan with neighboring provinces and countries. Early in the Han Dynasty (206 BC — 220 AD), Pu’er tea was transported to Nepal, Bhutan, India, Afghanistan and other neighboring countries via the Tea-Horse Trail. In the Tang Dynasty (618-907), it spread to Tibet and inland China. In the Song Dynasty, local people exchanged tea for horses in the market, and in the Ming and Qing dynasties (1368-1911), Puer was famous for its tea plantations at home and abroad. Today the different ethnic minorities living in Puer maintain have different tea drinking customs and have various methods of preserving tea. 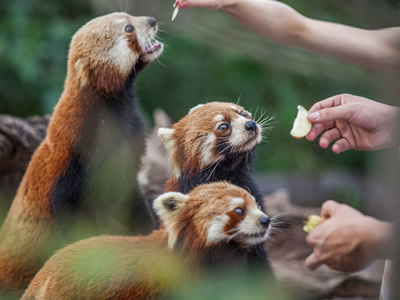 This China tropical frontier tour starts when you meet your professional local guide and driver at Puer Airport and transferred to the Resort inside Puer Sun-River National Park. The rest of the day will be free at your leisure in this picturesque park which is located to the south of Simao District, the capital of Puer city. the Puer Sun-River National Park. You will stroll in the vast virgin forest, enjoy the Alsophila Costularis - the living fossil which flourished during the Age of Dinosaurs, wonder inside the many kinds of orchid. 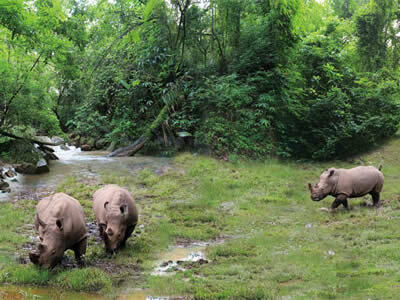 You can also view the rhinoceros enjoying their life in the grassland, the gibbons jumping on the trees, ailurus walking inside forest, waterbirds wondering in the wetland leisurely, butterflies dancing in the valley, indulge in the folk customs of many ethnic minorities in Yunnan Province. Lunch inside the Puer Sun-River National Park. Drive for 45km/50m to Ning Er County to the north of Simao District in Puer city. Visit the Tea Origin Plaza and the Sign of the Origin of the ancient Tea-Horse Route on the Plaza, the Stone Stele bearing the Oath of the Solidarity of the Peoples of China, ancient Nakeli Tea-Horse Route Dak. Ning Er is the origin of the famous ancient Tea-Horse Route which was the "Silk Road" of the southern China for material communication and trade since the Tang dynasty (618-907 AD). Nakeli Tea House Dak is the best preserved and most important dak on the way of Pu-Erh Prefecture Tea-Horse Road, which is embosomed with mountains. There are two rivers joining up right here. The ancient Nakeli was the hustle and bustle of the Tea-Horse Road. The caravans shuttled back and forth constantly. There stood varies of old inns and horse stables in great numbers. Water flew beneath the bridges. Drive west for around 175km/4.5 hours from Simao District to Menglang Town (the capital of Lancang Lahu Autonomous County). Then continue your journey to the south for around 40 minutes to get to the famous ancient Laodabao Village of Lahu Minority. Sightseeing in the village to enjoy the performance and take the local style cuisine. Afterwards you will drive to Huimin Town. Totally from Menglang to Huimin is 48km. visit the Wenji Village of Bulang Minority, Nuo Gan Water Village. Then drive for around 100km/3.5h to Nayun Town, the capital of Menglian Dai, Lahu and Va Autonomous County via Menglang town. On the way, you will visit the Lahu Minority Park. Also known as Hehan in Dai language (literally means "Golden Palace") played a decisive role in feudal headmen system of Dai minority, Xuanfu Si is a kind of local administrative institution (Chieftain House) in China. With an area of 10248 square kilometers, this chieftain house can be dated back to 660 years ago. According to historical records, there were about 28 headmen of Dai minority ruling there. Menglian Xuanfu Si enjoys many reputations: the only building group combining Dai minority’s architectural style with the Han nationality’s, the best-preserved government office in feudal headman system of Dai. Likan Waterfall which is located in the deep mountains, magnificent and tremendous, Sacred Muyiji Valley with dense forests and limpid waters. Drive for 260km/6.5 hours from Ximeng County to Cangyuan Va Autonomous County which is inside Lincang Prefecture. Tour to Guangyunmian Temple in the downtown of Cangyuan Town. It was built in 1828 with the appearance of the Buddhist temple in Han Chinese area, but with the Hinayana Buddhism layout inside which is popular in the Dai Minority area. Visit the Yonghe Border Port (opposite to Burma) and enjoy the spectacular cloud sea in this high Va Minority mountains area, enjoy the distance view of Gongming Mountain - the origin of human being in the legend in Va Minority. Afterwards, You will get to a picturesque valley to visit Caryota Urens Forest, Bankao Village. Then walking up to a hill to enjoy the ancient Rock Paintings - with around 3000 years history, it boasts the oldest rock painting to be found in China. The tour today ends with the visit at Wengding Va Minority Village - the last primitive tribe in China. Surrounded by lush trees, the village consists of around 100 thatched cottages. It was awarded the title of “top 10 Chinas villages in terms of culture industry”. It has preserved the typical features of Va residential architecture, primitive folk customs and ecological cultures. In the morning, drive north for around 190km/4 hours to Lincang city (the capital of Lincang Prefecture). On the way, you will pass Shuangjiang Lahu, Va, Blang and Dai Autonomous County and visit a Tea Factory here. Shuangling is famous for its Large-Leaf Tea. With the features of the highest altitude, the largest area, the highest density, the best-preserved original vegetation, the No.1 Wild Tea Populations in the World can be found in this county. There is an airport in Lincang city. Now you will complete this exciting once-in-a-lifetime tour in this remote but fascinating frontier territory and be transferred to the Lincang Airport. Say goodbye to you local guide and take the flight for your next destination.